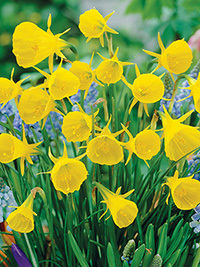 Dainty yellow trumpets that resemble a hoop petticoat. Timeless species daffodil naturalises readily. Early season flowering. 15 cm tall.